Can I Play Slovenia Loto Online? Read Reviews! Slovenia Loto Exposed — Happy 55th Birthday! Did you know that Slovenia Loto is celebrating its 55th birthday in 2017? As a result, lucky people who have the chance to give it a try are going to be surprised with prices bigger than the usual amounts and special drawings. Even in times when Loto isn’t celebrating, it’s still worth a try. One of Slovenia’s oldest and most prominent games, Loto comes with excellent odds of winning the jackpot and some pretty awesome sums for lucky players to claim. Loto is Slovenia’s oldest game that still happens to be the most popular one in the portfolio of Loterija Slovenije. The first drawing in the history of the game occurred in 1962 and ever since, the game has been producing approximately 30,000 winners per week. Over the years, Loto underwent a few modifications. In 2008, an additional opportunity called Loto Plus was introduced. This is an additional drawing, giving players two drawings for every single ticket that they purchase. In 2014, one more modification occurred. Loterija Slovenije introduced a cap on the jackpot rollover. Since this limit, the maximum prize in Loto cannot exceed 5 million euro. Is Slovenia Loto a Scam? Slovenia’s lotto is anything but a scam. A game that has 55 years of history and that is so beloved in its country of origin cannot be fraud. There’s no reason to worry about it – just give this lovely lottery a try the next time you’re in Slovenia. 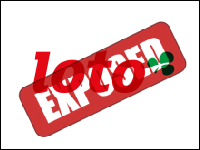 As already mentioned, Loto belongs to the portfolio of Loterija Slovenije. A few other games organized by the same entity include EuroJackpot, 3×3 and Tiki Taka. Additionally, Loterija Slovenije has a number of online games and scratch cards with instant prizes. The national organization was formed back in 1945 and it was restructured under the Yugoslav Lottery in 1952. In 1972, political developments led to the termination of the joint Yugoslav Lottery and this is when Slovenia got its national Lottery Institute. In 1998, the entity became a public limited company. Ever since its establishment, Loterija Slovenije has had one primary goal – generating funds for social and sports organizations, as well as for projects involving people with disabilities in the country. A portion of the funds spent on every ticket will go to support one such good initiative. How to Play Slovenia Loto? Loto is a 7/39 game, which makes it somewhat different from other national games. The small set of numbers to choose among also increases the odds of winning the jackpot. Slovenia Loto drawings take two times per week – on Wednesday and Saturday. The cost of a ticket is 0.6 euro. Winning numbers can be chosen both online through the lottery’s official website and in the licensed retail venues. Players can either choose 7 numbers or play a system. While systems happen to be more expensive, they increase the odds of winning and they also make it possible for players to claim multiple prizes with a single ticket. The inning fund for every single drawing consists of 57 percent of the ticket payments. The rest of the money goes to cover administrative costs and to support charitable/sports initiatives in Slovenia. Loto comes with a minimum guaranteed jackpot of 250,000 euro. If there’s no winner for the respective drawing, the sum will roll over towards the next one. The odds of winning the jackpot are in 1 in 15,380,937. These odds are much better than the ones for standard games like 6/49 because of the smaller pool to choose among. In Slovenia, the Lotto has a jackpot cap. If the sum reaches 5 million euro and there’s still no winner, it will roll down towards the other prize tiers instead of rolling over towards the upcoming weekly drawing. The maximum amount of 5 million euro was won on July 8, 2015. The winner was from Koper. The second biggest prize in the history of the game was 4.87 million euro and it fell on January 29, 2012 in Maribor. All other prize tiers depend on the number of tickets purchased for the respective drawing and the number of winners per prize tier. Prizes of up to 300 euro can be claimed at any licensed retail venue in Slovenia. Sums in the range from 301 to 4,000 euro are paid out at specialized lottery sales points. All of the addresses, as well as the working hours are listed on the official Slovenia Lottery website. Prizes exceeding 4,000 euro are paid out at the Lottery of Slovenia headquarters in Ljubljana. Slovenia is one of the countries that have an income tax applicable to lottery prizes. Prizes of up to 300 euro are not subjected to taxation. A 15 percent income tax applies to all of the prizes that exceed the threshold amount. Players have 67 days from the date of the respective drawing to make a prize claim. Can You Buy Slovenia Loto Tickets Online? Lotto tickets can be purchased from retail venues and from the official Lotto website. Unfortunately, you need a Slovenian tax number in order to register. If you’re not a citizen in the country, you will not have an opportunity to buy an online ticket from another location. Would you mind rating Slovenia Loto? Slovenia’s oldest game is definitely one to look out for, especially if you happen to be in the country. The minimum guaranteed jackpot isn’t the most impressive one out there, but with time, a lovely sum can accumulate. To sum things up, Loto is a safe and easy to play game. It doesn’t come with many bells and whistles, but the great odds and the reputation of the game make it worth trying. This Lotto has been around for a while now and it will continue to be around in the coming years. Not many lottos are this well structured and organised. I only hope that they make the tickets available online internationally as the world is changing so should lottery playing.